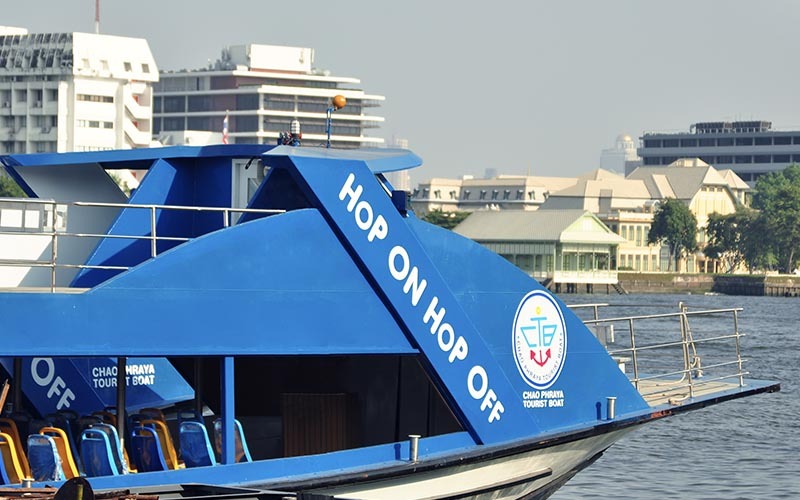 Hop on and off the Chao Phraya Tourist boats at your own pace, free of traffic congestion and city heat. 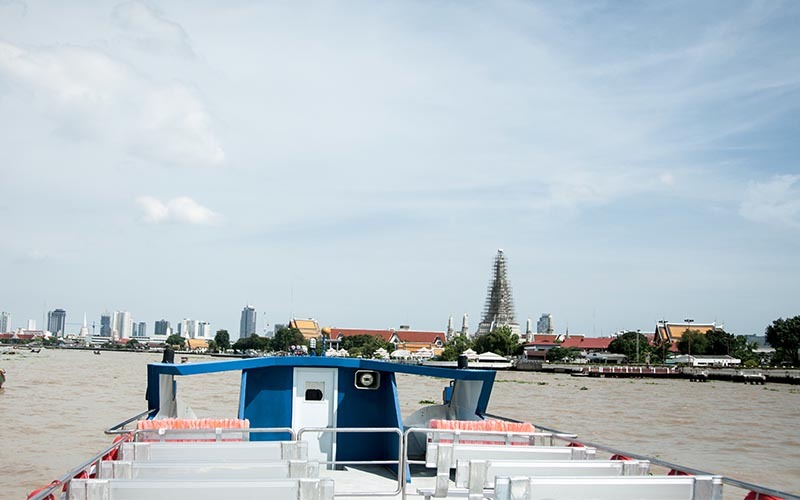 To avoid traffic, take the Chao Phraya Tourist boats. These tourist boats are differentiated by the blue flags tied to the back end of the vessel. Head to the closest pier and look for the river map. Find your destination pier and note the blue triangles marked above it. The blue triangles, which represents flags, show you where the tourist boats stop. Chao Phraya Tourist Boat stops at piers along the Chao Phraya river connecting to famous tourist attractions in Bangkok. 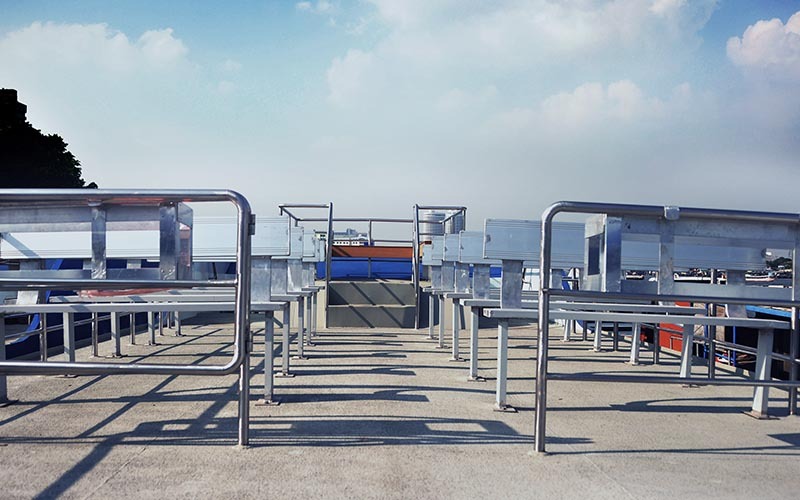 Starting from Sathorn pier where you can connect to BTS sky train (Saphan Taksin station– S6). – From 16:00 (from Phra Arthit) or from 16:30 (from Sathorn), boats extend their routes to Asiatique as well. – Walk-in and buy from any staff in the light blue shirts at every pier on our route. You can find the official boat route map here.